If you’re looking to power your favourite electrical appliances while you travel, solar panels are an essential accessory. 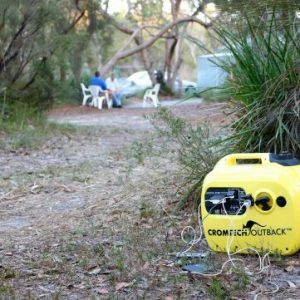 Whether you are wanting to charge your camping appliances straight from the solar panel or recharge your batteries, solar is a great way to travel off-grid indefinitely! 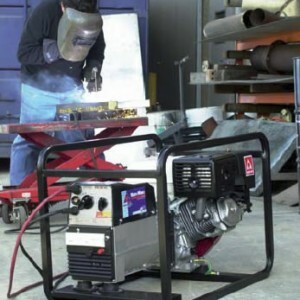 Like all battery charging equipment, the most important thing is to ensure you buy a quality, well-constructed panel that is going to keep producing high current for years to come. It’s also important to get the correct size panel in watts and the right type of panel for your application. A good quality 160W folding portable solar panel or Solar Blanket can be angled to the sun to maximise exposure through the day. This panel will produce approximately 9 Amps per hour while in direct sunlight for 6 hours of the day. This gives you a total of around 50 Amps of charge going into your battery system per day. 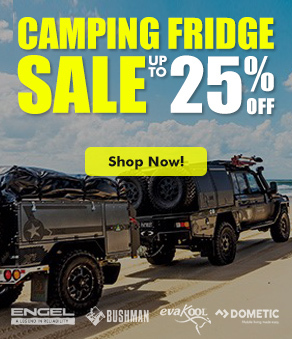 A good quality 40L portable camping fridge will draw about 25Amp per day from your battery system. 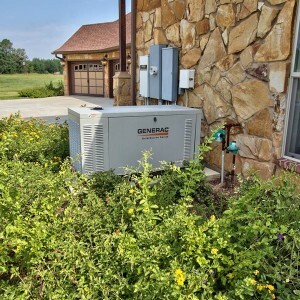 This leaves plenty of power left over to run led lights and recharge electronic devices. Portable solar panels are a great option if you’re on a budget and don’t travel regularly. They can be heavier and bulkier than their counterparts, but they are easy to set up and angle to chase the sun. 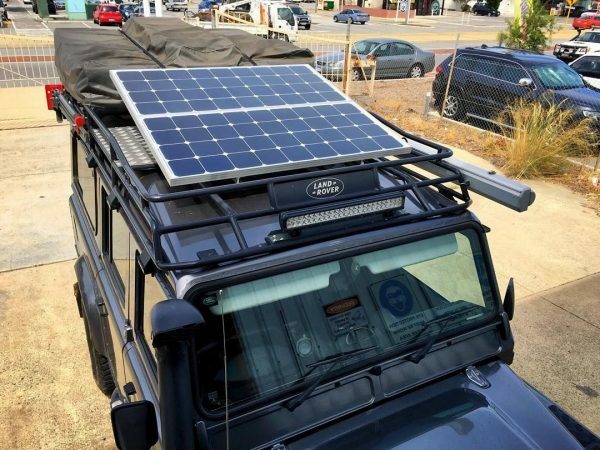 If you aren’t worried about saving room in your 4×4, caravan or camper trailer, a portable solar panel could be the option for you! Our newest portable solar panels are the Goal Zero Boulder’s, which come in four styles: Boulder 50, Boulder 100, Boulder 100 Briefcase and the Boulder 200 Briefcase. Solar blankets are popular with frequent travellers who are concerned about space and weight in their vehicle. These solar panels can be hung off your awning, draped over the trailer or bonnet or sprawled across the grass to catch those rays. Solar blankets offer excellent quality and durability however, they do have a higher price point. Some of our favourite solar blankets include the Baintuff 180w Folding Solar Blanket and the Redarc 190w Solar Blanket Sunpower Cells. 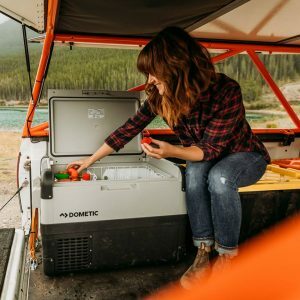 Fixed panels are attached to your vehicle, usually the roof, so you can charge while on the road or while parked at your campsite. 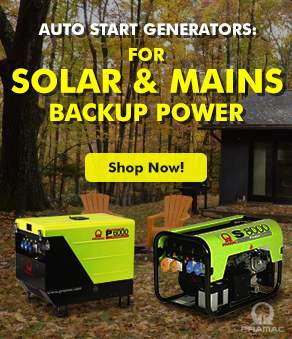 A major benefit of these solar panels is that you don’t need to worry about setting anything up when you get to your camping spot. However, you vehicle does need to be in direct sunlight to get the best results. 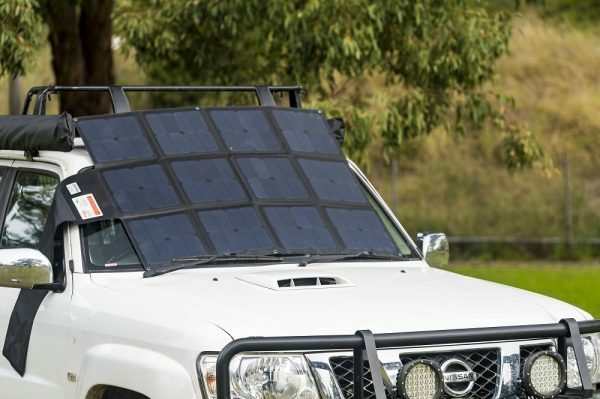 These are a popular option for the serious caravanners and 4×4 enthusiasts and will allow you to have the largest solar array possible. 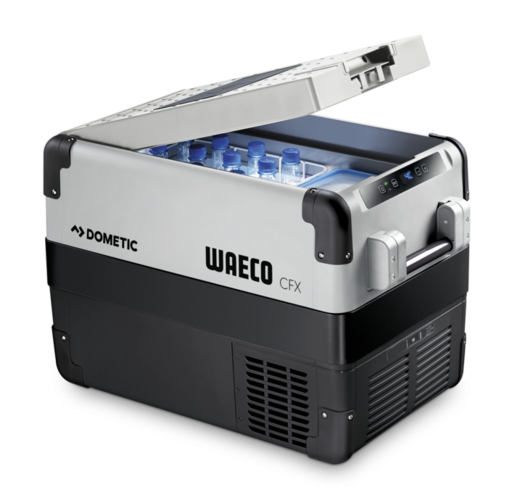 Enerdrive, Dometic and Redarc are some of our favourite fixed solar panel brands! 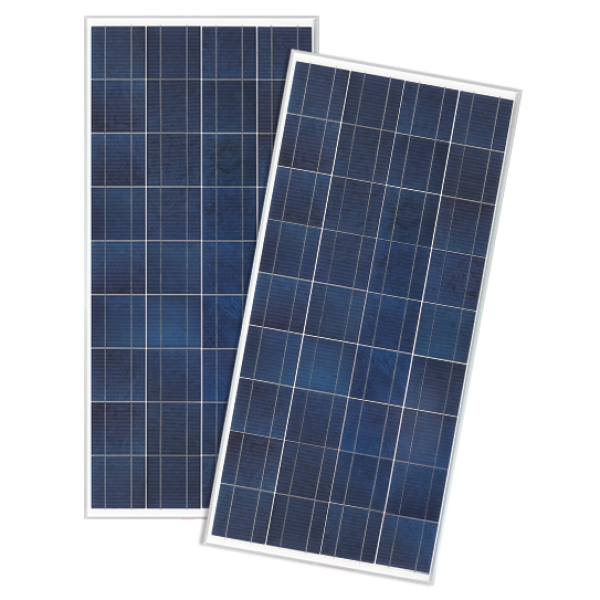 Monocrystalline solar panels are known to be highly efficient, durable and known to last! These solar panels perform the best during clear and sunny days. Unfortunately these panels tend to be more expensive than their counterparts. 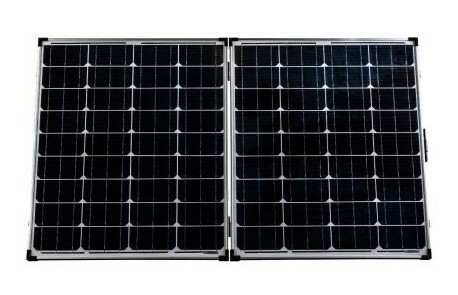 However, there is a lot more variety of monocrystalline solar panels on the market. 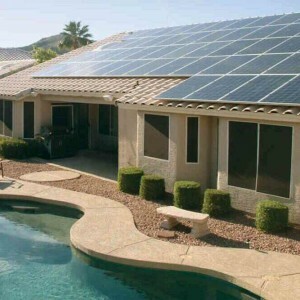 Polycrystalline solar panels perform well in low light conditions and warmer climates! 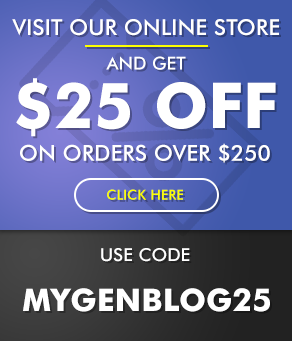 They are cheaper than the monocrystalline cells because they are easier and cheaper to make. However, they tend to be slightly bigger than their counterparts, for example 180 watts is produced by one square of polycrystalline cells vs 190 watts for the same size of monocrystalline cells. We have an extensive range of solar panels for every application. 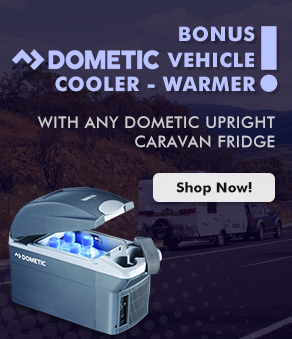 So, whether you’re a DIY, a serious caravanner or 4×4 enthusiast, give us a call on 1300 400 122 and we can find a caravan or camping solar panel that best suits your needs and budget.